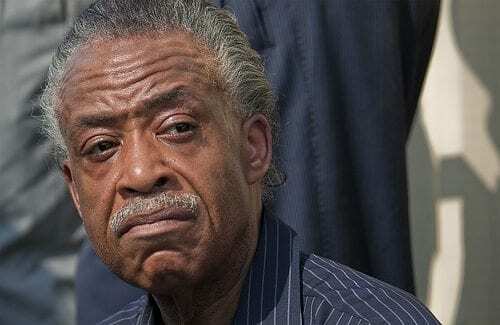 The Reverend Al Sharpton wants to “lower the threshold” for what constitutes a hate crime. Why? Because whites are getting away with too much self-defense. If you’d just focus on the color of their skin, you’d see that it’s ALWAYS a hate crime. Stop looking at the facts! I don’t know what kind of preacher of the Gospel has this kind of mentality, but he certainly isn’t preaching from the Bible I’ve been reading all these years! Him carrying around the title of “Reverend” is an affront to decent pastors everywhere. The fact that he is an “adviser” to President Obama on “race relations” should scare us all. He certainly is an expert on “race relations”… on ruining them! We need to start holding Reverend Al accountable for inciting violent protests & criminal behavior. How does this man sleep knowing that people are dying as a result of the hate he’s spreading? He’s not a peacemaker. He’s not a unifier. He’s a divider. We have free speech, but that doesn’t give you the right to yell “fire” in a crowded theatre. Likewise, it shouldn’t give Rev. Al the right to stir the pot in an already heated situation. Someone needs to put a muzzle on him. But chances are, it won’t be the one person who can and should.